Deli Orders for Dec. 5 & 6 Chanukah FUN! You ever wished you had you very own Chavruta (learning companion)? Well here is your chance. 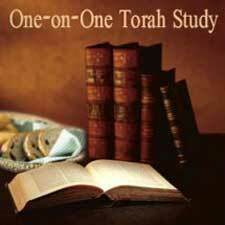 Get your oportunity to chose from many topics (Talmud, Kabalah, Halacha, History etc.) and get a chance to have a one on one class at your convience of the day! Please contact us for more information, and to make arrangements. For more information or to join a class please contact Rabbi Avi at Rabbi@Chabadofashland.org or call (541) 482-2778.